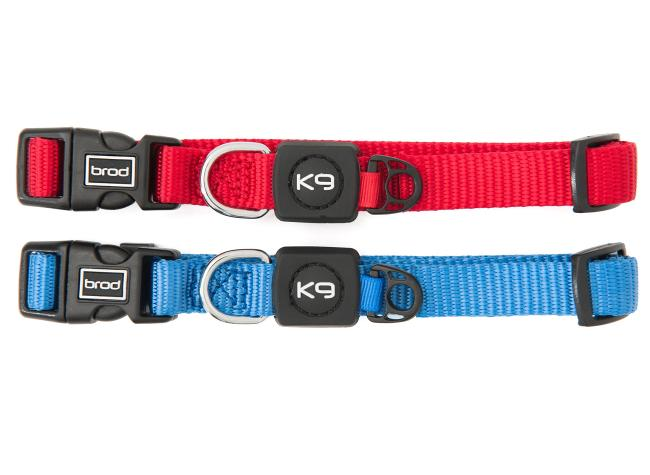 The BrodPod magnetic dog collar is available in two fully adjustable sizes to suit breeds of all shapes and sizes. The award winning BrodPod magnetic dog collar is a drug free therapy designed to relieve pain and stiffness. The magnetic collar is also proving to be effective in epilepsy and many other conditions including recovery from injury and surgery for dogs. 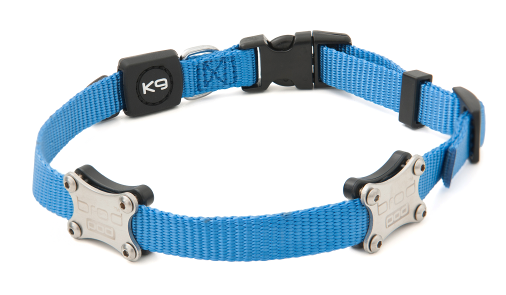 Each magnetic therapy dog collar is fitted with two modules containing a series of unique and powerful multi-directional magnetic fields which simulate that of electrically pulsed devices. Positioned either side of the neck, they provide optimum saturation of the blood vessels to give your pet maximum benefit 24/7. Our custom designed high grade neodymium magnets are great for therapy as they never lose their power. 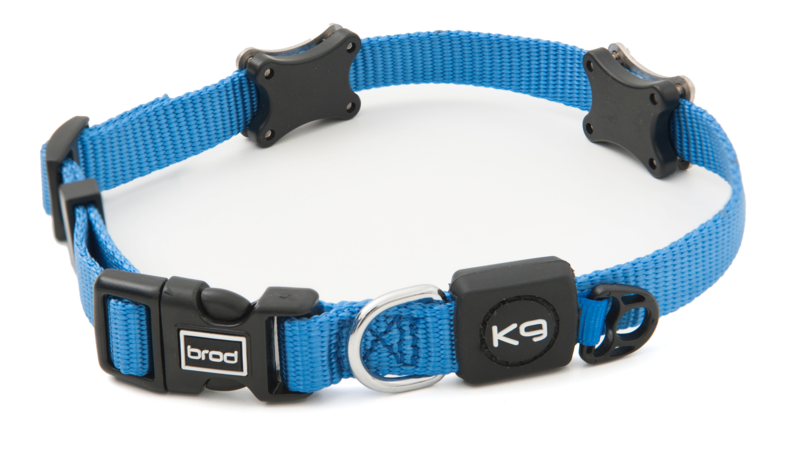 The magnets within the dog collar are housed and sealed in ABS with stainless steel front covers. A hexagonal key and instructions are provided for any repositioning you wish to make on the collar. With the mangnetic collar for dogs if there is any excess strap this can be trimmed and heat sealed. 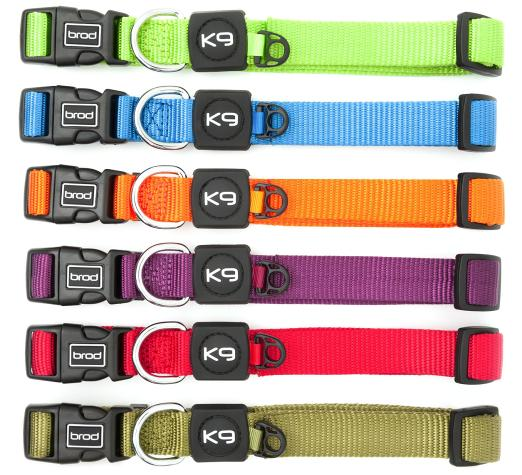 What conditions can the BrodPod magnetic collar for dogs help with? Our customers have reported seeing an improvement in their dogs in many conditions such as: Arthritis, stiffness, joint pain, energy levels, faster healing after injury or surgery, anxiety, epilepsy/fits, travel sickness, hip dysplasia, cartilage & ligament problems. My dog is on medication, can I still use BrodPod? The beauty of magnetic therapy is that it is drug free and non-invasive so will not interfere with any medication. Does my dog need to wear the magnetic collar all the time? Ideally yes, it has been designed for 24 hour use to give maximum benefit. Where should the modules sit on the neck? The modules should be positioned on each side of the neck. They are fully adjustable so you can reposition them if you need to. What if they are not always in the same place? Don’t worry if your magnetic dog collar moves around, this is normal and doesn’t affect the performance. Can I trim the length of the collar? Yes but make sure that you heat seal the cut end of the collar. Is the collar washable? Yes, we recommend washing regularly by hand in a mild detergent - no need to remove the magnetic units. Allow to dry naturally. Will the magnets lose their power? No, our bespoke superior grade neodymium modules won’t lose their power. Are the magnetic collars just for dogs? 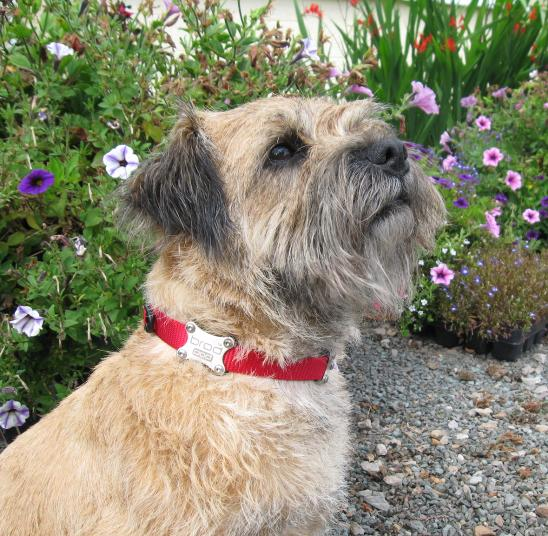 Our products have been used as a magnetic collar for dogs, sheep, goats and even an alpaca. Where do you deliver? Other than the UK we ship to most countries worldwide. As we are based in the UK, for all UK orders we use Royal Mail 1st Class or a courier for larger orders. Mrs H McInroy wrote: "This email is very long overdue. 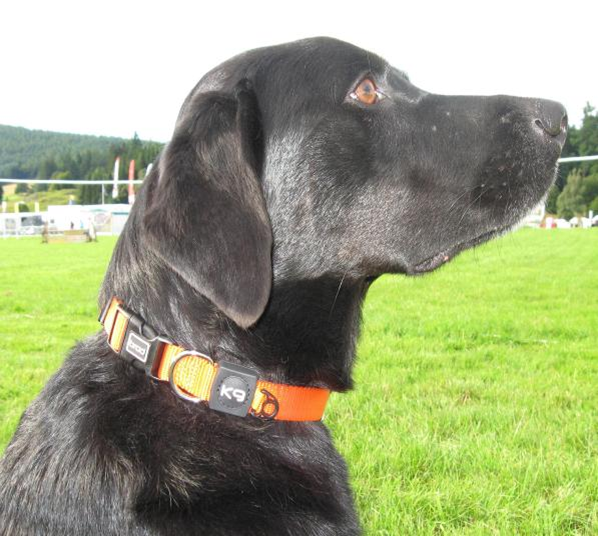 We got a Brodpod K9 magnetic collar for our arthritic Labrador at Blair Horse Trials. We must thank you so much as after a few weeks she was moving much more easily. We were able to reduce her daily medication by 20 - 25%. Unfortunately we had to remove her collar at home for a period because our new puppy hung on it throttling poor Hattie. However things are slightly more civilised now and we are back on track with a full-time collar. I must add that my sceptical husband is now wearing the BrodTeNS bracelet I ordered for him and is finding it helps with joint stiffness especially in his hands. Thank you. Sarah Smith wrote: Just to say the K9 BrodPod arrived the other day and has now been on our 12 year old Jack Russell for just 48hrs. She is just a stiff old girl, reluctant to go for walks - this morning she ran to the gate to join the other two dogs to go out even though it was raining, ok we still had to carry her home but she is already brighter and happier in herself. I use the BrodPod system for myself and do notice some changes and benefits though sometimes have wondered if I just think it, dogs get no placebo effect so my little Lottie proves to me these things work. Jackie Calvert wrote: "Hi, not a good picture of Barney, he’s a hairy beast. Two days after I put the Brodpod collar on he chased his tail, which he hasn't done in the last 5 or 6 years since his hips and legs got arthritic. Says a lot to me. Thank you." Tracey Wareing wrote: "Baron has chronic arthritis of both elbows. He is a 6 year old rescue German Shepherd. Before the BrodPod collar he was very, very lame and really not that happy with his life. Since fitting the collar he’s still lame but bouncing around like he's only 2. They have given him a new lease of life. This probably happened within a week. Thank you." My name is Bella. I am a thirteen and a half year old Lurcher and I live close to Dawlish. I have, for some time, had some problems with walking due to what my Mum and Dad say is arthritis in my hips. I have been told by the doggy doctor that I had a stroke on Boxing Day 2012 and I knew there was something wrong because I could hardly walk and kept falling over, which can be very embarrassing for a Lurcher (and a female one at that). Mum and Dad reduced my normal walks so that I did not have to climb too many hills. I think I heard the expression "little and often" mentioned. Then they gave me a new collar and fitted what they called a pair of BrodPod K9 magnets which they said might help me (I was listening in at the time!). I have now been wearing this K9 for about a week and, would you believe, I almost feel back to normal. My back legs feel less stiff and I can even run again. Kim wrote: "My husband bought the BrodPod magnetic collar for our 11 year old Flat Coat Retriever who suffers with really stiff back end in the evenings and clicks when he gets up and finds it a struggle to go up the stairs. To be honest I was none too pleased at the time. But oh what a difference I have seen in our beloved pooch no longer does he click or creak when he gets up in actual fact he has a definite new lease for life, a different dog all together. I would fully recommend this product even though I was a total sceptic to begin with, we saw a difference in him within the first two weeks. It has certainly made me a convert." Janet Yelland-Jones wrote: "I thought I would give you an update on Scarlett (my nearly 11 year old German Shepherd). You may remember you kindly dropped the K9 magnets to my home in Stoke Climsland. 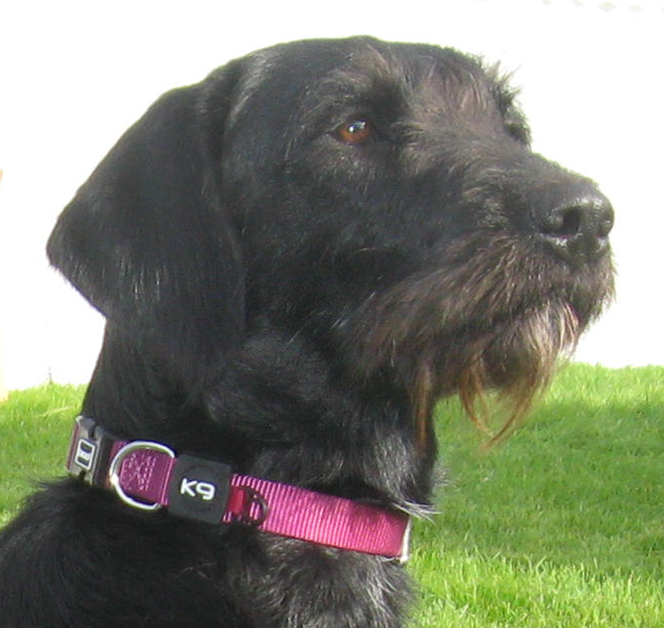 My husband was extremely sceptical but as they had been recommended to me by Scarlett's vet, I fitted them to Scarlett's collar on 27 December. Within a couple of days, Scarlett was no longer sitting in that lazy way of old dogs (on one hip) but was sitting really straight, something she hadn't done for a while. A couple of days later my husband said "it's no good you'll have to remove the magnets". When asked why he said that he had let her out during the night and rather than her just walking across the patio, peeing on the grass and returning, she had trotted off across the lawn in the hope of chasing our local fox! Since then, Scarlett's interest in playing has returned. I cannot say her front leg is any less stiff but she is certainly enjoying life more and her sense of fun is back. I am delighted with the results of the K9 magnets. Many thanks." Mrs A Wright wrote: "Thank you for the dramatic change to my dogs life. My Hungarian Vizsla 'Jura' has a spine condition and went about on three legs most of the time, we bought your BrodPod from the wonderful day we had at Glamis Castle. Within 3/4 weeks she has a new lease of life running about with our younger Vizsla. I just would not have believed it." Clare Baker wrote: "I just wanted to drop you a line to say how amazing the Brodpod K9 is. I have a 10 year old Rottweiler cross Bella. She was getting to the point where she struggled to get out of bed without creaking, cracking and limping. She had a series of injections from the vet at the same time as we purchased the Brodpod and improved straight away however we were not sure which had worked! The vet laughed at us for trying the Brodpod and insisted that if we did see improvements then it would be down to milder weather and not this. The injections were due to last 6 months so we were expecting her to go downhill again after this however here we are a year on, and she is still improving day by day! She plays like a puppy and the joint cracking/limp has gone, even after the longest walks, through the snow and through this awful cold winter we have had. I wouldn't usually call anything a miracle product, yet in this case I truly believe I have found one. Thank you so much!" Rob Hawker wrote: "BrodPod is great - we have seen that; and thanks to the product we're happily bothered again by our 14yr old Labrador "Bronson" who has more energy than weeks ago when on a Bioflow - and is now revitalised - wanting to be involved in whats going on in the family." Mrs Janes wrote: "Bonnie certainly appears to be bright eyed and bushy tailed, and appears to me to be much more able and less stiff after her walks. She is standing more easily from the 'down' position and seems to me to be less reluctant to 'sit'. All told she appears to be more comfortable and flexible since wearing the Brodpod." Lord G Clark wrote: "I bought one of your K9 Brodpods for my Dogue de Bordeaux - Hooch, who has been using his magnetic dog collar for arthritis. After 3/4 weeks he now walks with no discomfort and he's a lot happier! - thanks to your Brodpod!" Sue Machin wrote: "My lovely sheep April wears a Brodpod magnetic collar. Sorry to take so long sending it, I'm not very technology minded so it's taken me a while to actually get the pictures. I'm sure the magnetic collar has helped her a great deal, so thank you very much."